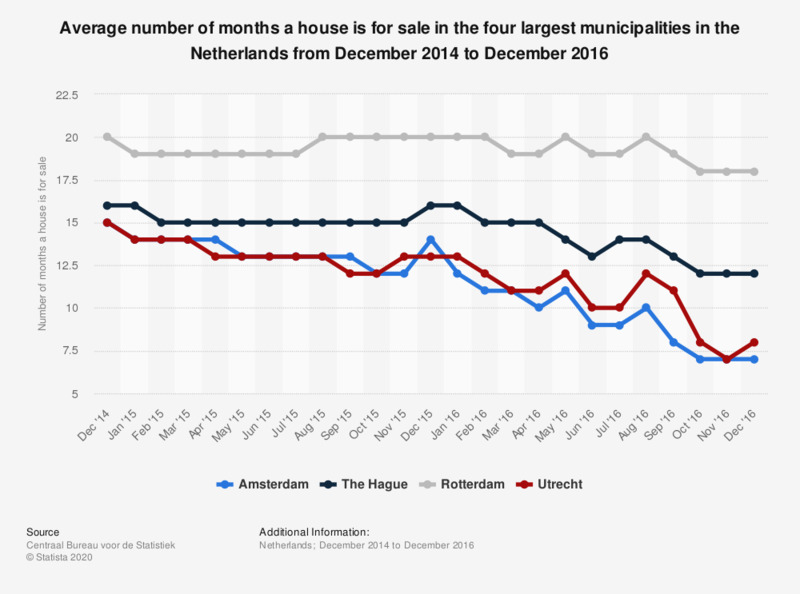 This statistic shows the average number of months a house is for sale in the four largest municipalities in the Netherlands from December 2014 to December 2016. In December 2016, it would take an average of seven months for a house in the municipality of Amsterdam to be sold. The source states that the average number of months that a house is for sale concerns real estate being offered on the Internet. Should a house be offered again within four weeks, the start of the first offer is used in the statistics. If you were to sell real estate, who would you prioritize?